Check your email, Facebook or Twitter feeds for daily deals from cool businesses in Malta. DealToday is more fun when used with friends. 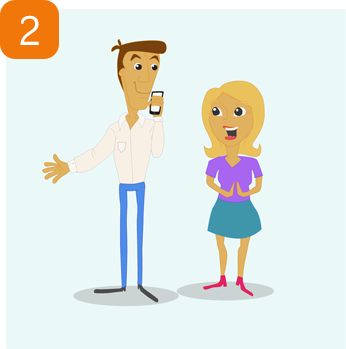 Pass along deals by email or broadcast them to your social networks. First you go to www.DealToday.com.mt and buy the deal that matches your wishes! It could be a restaurant deal. You can also buy the deal directly from your smart phone! 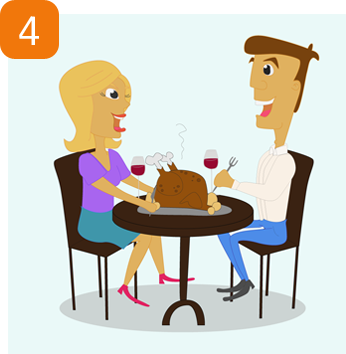 Make sure to reserve a table at the restaurant, and tell them that you have a voucher from DealToday. The restaurant’s contact information is in the deal. 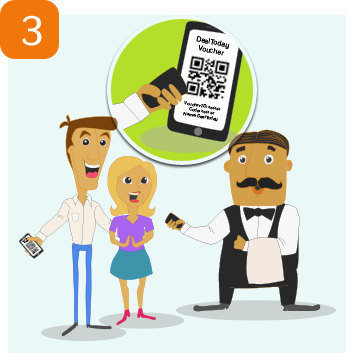 You can display your voucher directly form your smart phone or print out the voucher and present it at the restaurant. Eitherway you can find your vouchers in ‘My DealToday’. 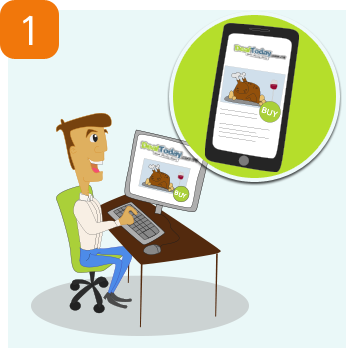 You will find ‘My DealToday’ in the top right corner of the DealToday website, mobile site or App. How does the Buy For a Friend work? Use the "Buy it for a Friend" button to give a deal to a friend, family or anybody you think deserves a great gift. You'll be giving presents worth twice what you paid, and without going shopping or paying shipping costs. You can either send the deal via email or you can print it yourself . A DealToday Gift Card can be used for all our active deals. The lucky receiver of the gift card will for sure find something they’ll like! You will after the purchase receive a mail with a receipt and a voucher. You can either choose to print the voucher and give as a gift yourself or you can send it as an email to the friend you wish to spoil. If the receiver wants to buy a deal beyond the value of the gift card, they simply add the missing amount themselves.